The aptly named Classique Cuvée from the doyen of Côte Rôtie, farmed from 21 different parcels in both the Côtes, that is to say Brune and Blonde. The 2006 is a rounder and more approachable wine than the 2005; elegance and poise, with hints of black cherry, pepper and spice evidenced and a regal clasp of tannin. 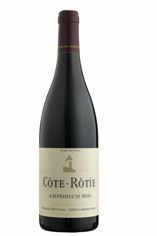 The Wine Advocate - The 2006 Cote Rotie Classique reveals aromas and flavors of cassis, cherries, incense, bacon fat, licorice, and olives. 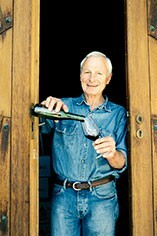 It is a soft, luscious, elegant red to drink over the next 7-8 years. Parker - The 2006 Cote Rotie Classique reveals aromas and flavors of cassis, cherries, incense, bacon fat, licorice, and olives. It is a soft, luscious, elegant red to drink over the next 7-8 years.